(CNS): Full story update: The jury took just over two hours to find Keith Orrett, Brian Borden, Bjorn Ebanks and Keith Montaque not guilty of possession of unlicensed firearms on Wednesday afternoon. Following Justice Charles Quin’s summing up of the evidence and the law, the four women and two men returned to the court with a not guilty verdict at around 2:40pm, after which the judge told the men in the dock they were free to go. Police brought the charges as all four were present when the guns were found in an attic in Town Hall Court and because three of the men could not be excluded from small quantities of mixed DNA found on the firearms. The case against Orrett was based on the proposition that the two loaded pump action shotguns were found in the attic and, as the tenant of the property, he had control over those guns. His defence team from Stenning & Associates, John Fox assisted by James Stenning, defended their client on the basis that he did not bring the guns into the house, was unaware they had been hidden in his attic and claimed to have only seen one of the guns some time before the police arrived as a result of one of the other men cleaning it. Fox said Orrett had never touched the gun and no DNA that could have been a match to Orrett was found on the weapons. Fox argued that Orrett could not possibly have had control of the firearms or done anything about removing the weapons given that he was not in control of those guns and feared for both his own life and the lives of his children. Ben Tonner of Samson McGrath, Nicholas Dixie of Mourant and Nick Hoffman from 7 Bedford Row in London, UK, defended their clients by arguing a very similar defence in that the small traces of mixed DNA found on the weapons could very easily have made their way on to the guns as a result of transference and contamination during the police operation which took place at the house in Town Hall Court in West Bay. Despite Orrett’s statement about Borden, Hoffman had argued that this could not be relied upon and therefore not used against his client and there was no real evidence that his client had been near the guns or put them in the attic. He said the minute quantities of DNA that could have matched his client could have also matched hundreds of others, and even if it was his client’s DNA it could very easily have been transferred to the guns by the police. Hoffman, Tonner and Dixie also argued that there was no real evidence that any of the three men had ever possessed the unlicensed weapons or had control of the guns. The defence councils had each pointed out that there were numerous other people at the house during this three to four day period, many of whom the police did not swab, who could have brought and then hidden the weapons. During the trial the court heard how all four men were present over an extended weekend period at Orrett’s house in West Bay in April of 2007 for a social gathering when a number of other people were also in attendance. Orrett testified that he had seen Borden handle a weapon, which he believed he had then hidden in one of the sofas on the Sunday morning of the weekend gathering. An armed group of police turned up at the house on Monday morning as part of another investigation, suspecting that there could be weapons at the property. They surrounded the house and made the six men inside at the time come out. When all of the men were brought out they were all searched by police officers wearing gloves, but the defence noted that there was no certainty that the police officers changed their gloves after searching the men and then handling the loaded weapons that were eventually discovered in the attic. The three defence lawyers focused on what the prosecution could not say, such as when the guns came to the house or who put them in the attic and how long they had been in the attic. They pinpointed the mistakes made by the police during the investigation and the details missed by the officers at the scene, such as a hand print in the attic near where the guns were found and their failure to take any prints from inside the attic or at the entrance hatch. During the trial it was also revealed that other DNA was on the weapons, some of which matched a fifth man, who police swabbed at the time of the raid but have not been able to find since and who has not yet been charged. 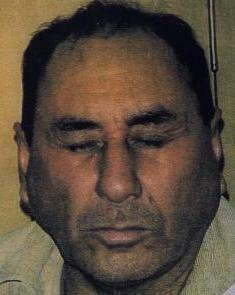 The trial had originally commenced in February, when the court struggled to find a seven man jury. After exhausting the jury pool through challenges and the problems of potential jurors knowing the defendants or the witnesses, the court was forced to take to the streets to secure more men and women to serve. Having eventually secured seven members, one was then excused as a result of illness before the trial started in earnest and the decision to have only six people sit was made. The trial then immediately went behind closed doors for legal arguments before it was adjourned for more than six weeks at the mid-point due to time tabling problems. (CNS): The 2010 J/22 Nationals was held over the weekend of April 17 & 18 and is the main local yachting regatta organized by the Cayman Islands Sailing Club (CISC) and held just once a year. Mike Farrington, the skipper of Compass Marine, proved once again to be the fastest sailing team in Cayman by winning the 2010 J/22 National Championship. His last success was winning the KPMG International J/22 regatta held in March this year as part of the highly publicised Race Cayman event. Farrington sailed with the highly experience crew of Matt Diaz and Paul Johnston. The team won five out of six races and also won the 2009 National Championship. Keeping the success in the family and in second place was Sunshine skippered by Charlie Grover, whose team included Simon Farrington, the brother of Mike Farrington, and Chris Delaney. The CISC youth team sailed by Thomas Hanson, Kayla Ramos, Dejian Solomon, and Thomas Bishop, would have come third, but due to the weight restrictions they did not qualify and in their place came Steve Adams on Wreckless. A total of nine boats sailed in the regatta, making it one of the largest National Championships in the last few years. The event is normally raced over two days with three races on each day, however and much to the disappointment of some of the crews, rain with some thunder and lightning cancelled the racing on Saturday forcing the race committee to run all of the races on Sunday. While the conditions on the first day made sailing impossible the weather on the Sunday was considered to be perfect with winds of 8-12 knots and calm seas. 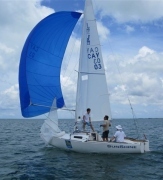 The next major event is the Storm Chaser dinghy regatta on June 5 & 6. For more information about sailing in the Cayman Islands, please visit the CISC website www.sailing.ky or search for “Cayman Islands Sailing Club and the National Sailing Centre” on Facebook. (The Royal Gazette): Government has begun deporting persons living illegally in Bermuda – part of a "zero tolerance" approach aimed to rid the Island of foreigners working in contravention of the law. A Jamaican national was the first to go. According to Minister of Labour, Home Affairs and Housing David Burch, the man had lived here for ten years before he was caught last weekend and escorted back to the Caribbean island by Immigration officials on Monday. And the Minister warned that a second deportation could be forthcoming. Stating that Government also holds information on a man who has lived here illegally for 20 years, he warned the unnamed individual to leave, before he was discovered and sent packing. (CNS): While government struggles to make cuts for the 2010/11 budget, the premier said yesterday that the need to delay the annual statement was also tied to the UK election. He said that even if the civil service had managed to complete the cuts government would still need to wait on permission from the UK to borrow. With elections just over one week away in Britain, McKeeva Bush said the OT Minister is not in a position to give that permission. Other sources close to government have also suggested the delay is based on the hope of a new Tory administration being returned in the UK, which Bush believes may be less likely to force direct taxes in exchange for that permission. However, with the Conservative Party (aka the Tories) only 3 points ahead of the newly popular Liberal Democrats and only five points ahead of the incumbent Labour Party, the UDP wish has no guarantee of coming true. Although there is wide expectation in the UK that the Labour Party is likely to lose, that does not necessarily translate into a Conservative Party win. The rise in popularity of the country’s third party – the Liberal Democrats — could see its leader, Nick Clegg, in a position of power if there is no clear majority, and Bush is no doubt aware that Clegg believes in direct taxation and has advocated clamping down very heavily on tax loopholes. Whatever happens on 6 May, the Cayman Islands is almost certainly going to face a new Overseas Territories Minister. A Labour victory is still likely to result in a reshuffle and any other result from a hung parliament, a Conservative or even a Liberal Democrat win, will see a new man at the Foreign and Commonwealth Office. 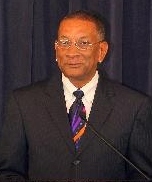 As a result, Bush pointed out that any decision this month made by the current OT minister regarding Cayman’s need to borrow would not bind any new minister put in place by the new administration next month. And while Bush already knows where Chris Bryant stands on seeing Cayman introduce direct taxation, any new man, even another Labour minister, could offer a glimmer of hope. However, despite the expectation that a Tory OT minister would be considerably more advantageous for Cayman and less likely to press the Cayman Islands Government for direct taxation if it sees significant cuts and real evidence of inward investment, the UK’s contingent liabilities remain the same no matter which party holds the most seats in Westminster. No British government is going to risk becoming responsible for an Overseas Territory’s financial troubles. The Legislative Assembly will resume this afternoon to discuss the forthcoming budget and the necessary changes to the Public Management and Finance Law in order to cancel the planned presentation on Friday. It is not clear if Bush will be revealing what the FCO bureaucrats and, in particular, Colin Roberts the OT director has said about the three-year plan submitted to the UK last month and the likelihood of any agreement on borrowing. In an official statement from the premier’s press secretary yesterday, the premier said work continued on the reductions for next year’s budget and government would not be attempting to rush and meet the PMFL deadline of Friday 30 April. “Secondly, even if the budget reductions had been achieved this week, the Cayman Islands Government would not have been able to gain the approval of the UK’s Foreign and Commonwealth Office,” the premier’s statement said, adding that next year’s budget includes borrowing, which must be approved by the UK. “Once elections are called the current minister cannot bind the incoming minister to such approvals. In order to have obtained the approval of the current minister the budget would have had to have been ready before 5 April. Therefore, the UK’s approval of Cayman’s 2010/11 budget will not come until after the UK’s general election on 6 May,” Bush explained. (CNS): Electronic eyes will soon be watching the people of the district of North Side but residents will be welcoming the video surveillance, as part of its effort to monitor, detect and reduce crime. 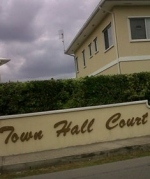 A project of the North Side District Council and independent MLA Ezzard Miller, the plan to install the cameras came in response to rising incidents of burglaries and other crimes in the district and throughout Grand Cayman. Last week the outspoken and sometimes controversial MLA Miller signed a memorandum of understanding for the installation of the cameras fulfilling one of his election promises to his constituents to help tackle crime. The MOU is with Errol Kellyman, Chief Executive Officer of Aviation Communications, suppliers of the equipment and broadband network for the project. The company will also provide the installation and engineering services. In a release the council and Miller said the cameras are expected to will be mounted within the next few weeks and the police have already identified high pedestrian and vehicular traffic areas for their installation. 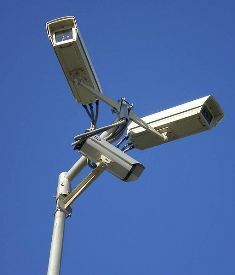 The District Council began planning for the cameras since last December. 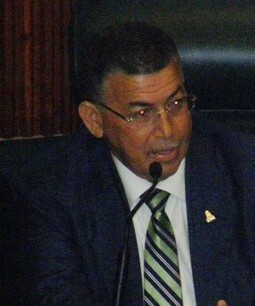 As part of the process, Miller held meetings with Chief Inspector Martin Bodden to enlist the support of the RCIPS and advice on how the initiative could assist them. “I commend Mr. Miller and his team for their initiative in identifying and implementing this project as a means of assisting the police,” Inspector Bodden said. “The Eastern Districts are fast growing areas on the island and North Side is visited on the weekends by many peoples from other areas. The police cannot be everywhere and this initiative is a good first step in providing us with additional information in the fight against crime,” he added. Chief Executive Officer of AvCom, Errol Kellyman said Avcom was happy to partner with North Side District Council and residents in the initiative. “We are using available technology to provide video surveillance for areas that need to be monitored and we expect that this is assist in making North Side a safer community,” he said. (UPI): An alleged Mexican drug lord extradited to Texas to face charges of violating drug and racketeering statutes, on Tuesday is accused of moving more than $20 million in US currency into banks in the United States and the Cayman Islands the US Justice Department said Tuesday. Juan Jose Quintero-Payan, 68, of Guadalajara, Mexico, has been fighting extradition since his arrest after a San Antonio grand jury returned an indictment in 2002 and a warrant was issued. The indictment alleges Quintero led a criminal operation that spanned from South America and Mexico to the United States and the Cayman Islands from 1978 to 2002, the Justice Department said. The indictment outlined the movement of more than $20 million in US currency into banks in the United States and in the Cayman Islands. The document also alleged real estate acquired in Texas and California was related to the drug enterprise’s operations and included ranches, airstrips and residences.